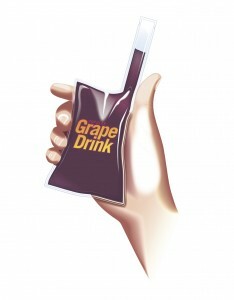 Barton Group, Inc. (BGI), a longtime supplier and consultant to the foodservice and packaging industries, has announced the development of Squeezy Straw, a new, single-serve dispensing pouch with its own built-in, integral sipping straw that’s available for licensing. “I’ve supplied and consulted with McDonald’s, Burger King and many other leading foodservice chains for years, and that’s how I became aware of this need in the marketplace,” says Lewis Barton, president of BGI. “I want to make clear that I am not manufacturing Squeezy Straw products. Rather, I am introducing this patented technology to the industry and making it available for licensing. Barton has consulted on issues of packaging, supply chain management, and operations in the foodservice and packaging industries for more than 20 years. In that time the firm has been retained by, and worked on projects for, such industry leaders as Dow Packaging, McDonald’s Corporation, McCormick & Co., KFC, Reckitt & Benckiser (The R.T. French Company Division), YUM!, Brand Aromatics and Tetra Pak.